Eris is now for sale, please contact Hannelora Johansson for further details. Eris fetured at EDC UK, Beat Herder and Lamplighter festivals in 2016. She is available to hire for all kinds of events; festivals, private parties, weddings and corporate events. Depending on your requirements we can taylor a dragon shaped package to suit. 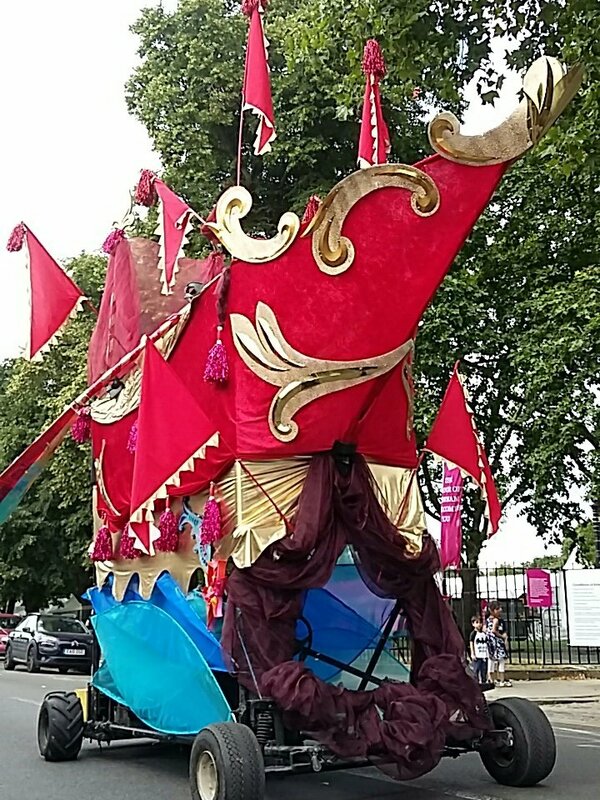 Whether as a standalone peice, part of a performance, a photo opportinity for your guests... or how better for a bride to arrive at her ceremony than on the back of a fire breathing dragon? Get in touch for a chat and some pricing info. Hannelora is also happy to undertake commissions if you would like your own fire breathing beast or sculpture. We spent the spring of 2016 making Eris, who went on to be be seen at a number of events throughout the year. She made her debut at a private party in the beautiful hills of Shropshire. Leeway produced and managed a festival-style 3 day long birthday party at which Eris took pride of place next to the Stumble Inn Cabaret Tent. She wowed children and adults alike with her firey breath in the evenings and was climbed, sat on and photographed by almost everybody who came. We then went on to Electric Daisy Carnival at the National Bowl in Milton Keynes where she blew bubbles throughout the day and breathed fire at night. She was not only an incredible spectacle, also a meeting, seating and focal point for hundreds of attendees. She was transported, set up and operated by an all female crew who were very happy to be part of such an amizing event - the stage alone was one of the most impressive things we've seen! 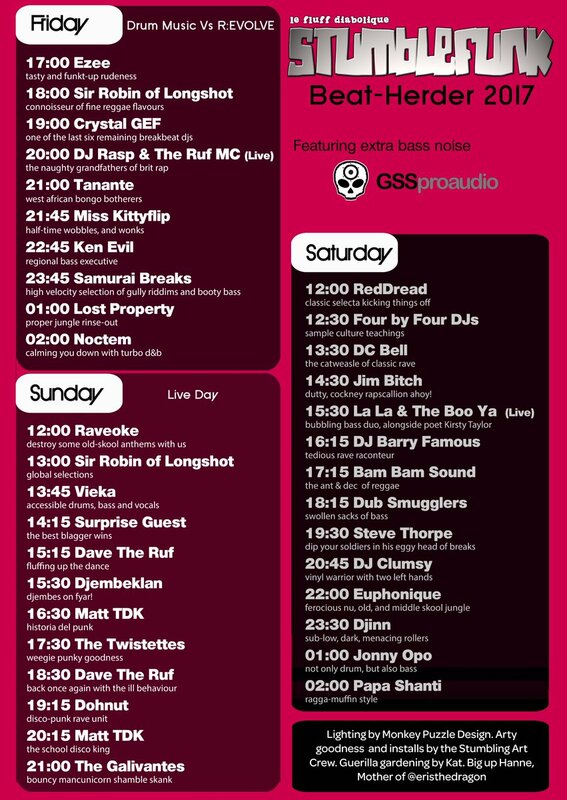 Next stop was Beat Herder 15th - 17th July where she overlooked Stumblefunk and the Fortress. At times, people were invited to climb aboard for photo opportunities. Big thanks to Walk the Plank for the use of the workshop. StumbleFunk crew! Back to @Beatherder tomorrow with @eristhedragon... gonna be a top one!